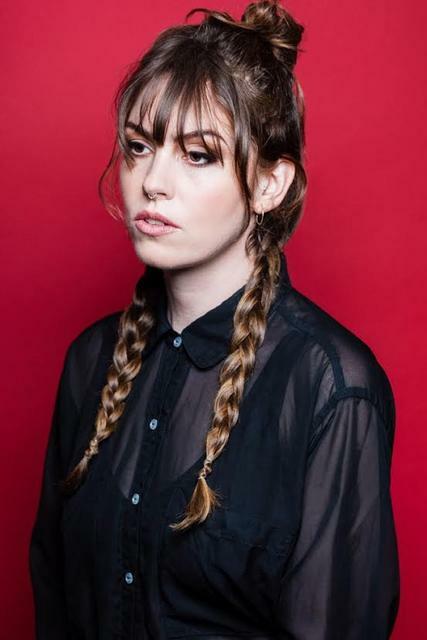 Home » News archive » EMMA RUTH RU…ng"
EMMA RUTH RUNDLE: Releases New Music Video for "Light Song"
“…another confident step forward by an artist who continues to dazzle us with new sides of herself." - Exclaim! Days away from the release of her triumphant third full-length album On Dark Horses, Emma Ruth Rundle has unveiled a darkly romantic music video for “Light Song.” No stranger to mining her life for inspiration, this new track and its accompanying video celebrate a completely new chapter for the songwriter; after sparks turned to an undeniable infatuation between her and Evan Patterson of JAYE JAYLE (resulting in their 2017 Johnny & June-esque split EP The Time Between Us), Rundle uprooted her life on the west coast in favor of Patterson’s hometown of Louisville. That sense of settling, of roots digging into new soil and heartbeats steadying into a daily rhythm, is what propels the record. Strapped with equestrian themes and Patterson on backing vocals, Rundle’s new environment is as much of a character throughout the album as she herself. With Rundle's breathy but brooding vocals coupling with Patterson's smoky baritone, “Light Song” flaunts their artistic duality and flair for aural drama, a powerhouse partnership that is only amplified by stalwart backing rhythms. Watch and share the “Light Song” music video now on YouTube. Written during the rare lulls throughout two years of relentless touring, the songs that comprise On Dark Horses are as disquieting as they are ethereal. Preening the wounds that were laid bare with 2016’s Marked For Death, these eight new tracks capture and envisage Rundle’s artistic evolution—vestigial traces of 2011’s Electric Guitar: One’s savvy guitar work, the heart-on-sleeve intensity of Some Heavy Ocean (2014), and the high-stakes torch songs of Marked For Death can all be heard in equal and harmonious accord. September 28 Rock Island, IL @ Rock Island Brewing Co. Makeup & hair by Leslie Dale. Garment by Ashley Rose Couture.